In white wine. On hot summer evenings, I like to lounge in the Herb Garden (above), while sipping icy-cold Pinot Grigio enlivened with a sprig of lemon verbena. A number of friends can testify to the fragrant merits of this beverage, as can a lovely lady from the local garden club. She sipped this ambrosia rather happily while serving as a docent during a garden tour here last year. For poultry and fish. To give chicken breasts, turkey burgers or fish fillets a lemony lift, I simply place whole leaves on top of meat. Seared in a hot skillet, verbena-side-down first, the leaves adhere to fish or fowl throughout the cooking process. You might like this recipe for Salmon, Steamed in Lemon Verbena & Pinot Grigio. In salads. Want to perk up your tuna salad, chicken salad, or a plain green salad? Chop up a few lemon verbena leaves and toss them into the mix. Culture: Triphylla isn’t the least demanding. 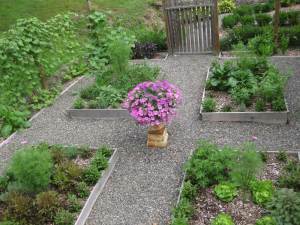 Mine, planted in the sunny herb garden, grows with rapid exuberance in full sun and well-draining soil. Prune frequently or the plant will become a mighty shrub in three months’ time. Where winters are mild, the plant can be grown as a die-back perennial. After defoliating frost, cut back to 3 inches, and cover with a thick layer of shredded leaves or salt hay. Otherwise, confine the plant to a clay pot, and let it overwinter it in a cool, sunny window or beneath fluorescents. Here in zone 5-b, lemon verbena is not hardy. But I don’t mind buying a fresh young seedling from my local greenhouse every spring. It’s not an expensive plant, and besides, it really earns its keep. Do you have a favorite lemon-scented herb? I agree with lemon verbena being my favorite lemon scented plant, although I also enjoy lemon balm. Last year I was pleasantly surprised by golden lemon thyme. It really did impart a nice lemony flavor! It's really pretty too! Katreader – I love lemon thyme, too. Delicious when sauteed with spinach or swiss chard. Yes, also my favorite! Add two tablespoons chopped lemon verbena, 1 tablespoon lemon zest to packaged pound cake mix, it looks weird with the green flecks but tastes great! Love lemon verbena! I grew it in a pot on my patio last summer. Everytime I walked by I rubbed the leaves to release the aroma. Unfortunately I didn't bring it in for winter, so it is kaput. 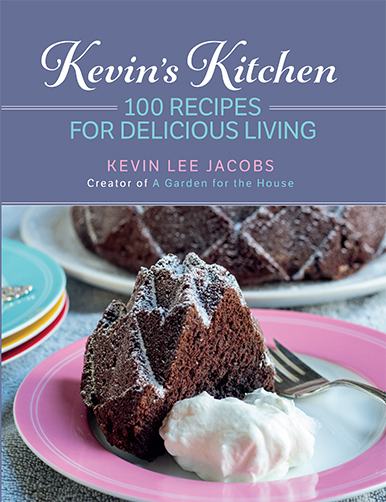 Kevin, your wine/verbena sounds heavenly, and so does the salmon recipe. And Lana's recipe for lemon verbena pound cake…yum! I have grown lemon balm for years, but I've never tried lemon verbena. 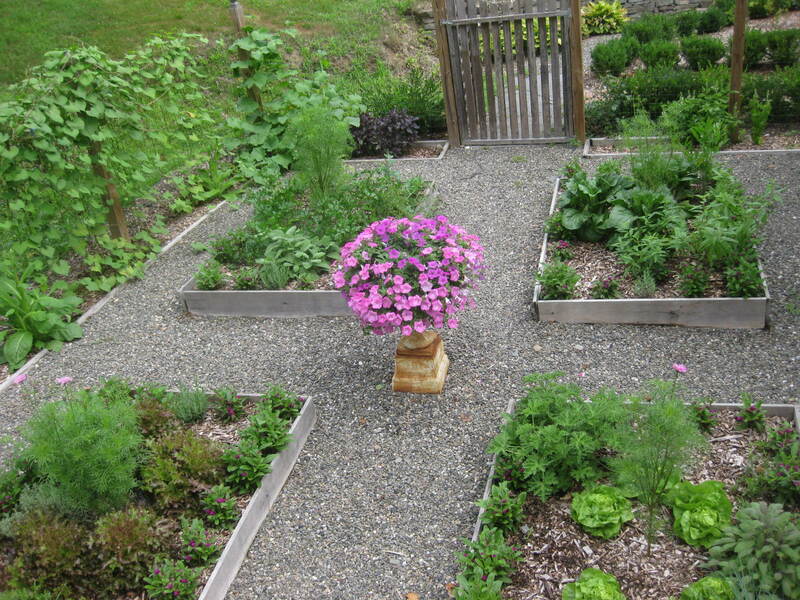 Now, I definitely want to buy a plant to add to my herb garden this year. 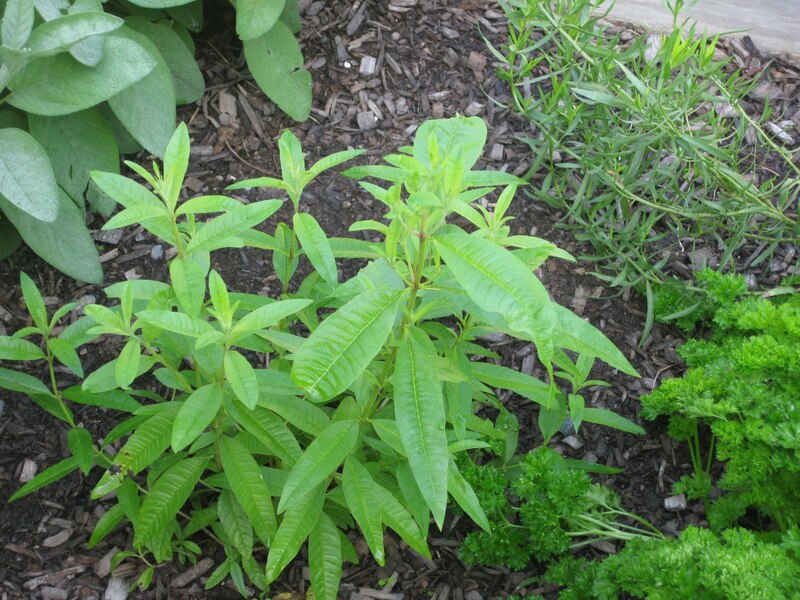 naturegirl – Once you have lemon verbena in your herb garden, you'll find all sorts of fascinating ways to use it. I promise! I'm growing lemon basil for the first time this year and can't get enough of it! Surprisingly, my 3 year old eats it right off the plant. I've used it in my quinoa vegetable salad to rave reviews! Anonymous – Lemon basil is one of my favorite herbs, too. Your 3-year-old has excellent taste! I started an herb garden last year in a raised bed, and ended the summer with enough dried herbs to get me through the winter and then some. I’m learning as I go. I love the smell of lemon verbena, but I use lemon balm to cook fish and make dill sauce. I learned another little trick or two. Anytime you’re adding herbs to meat, crush up a few spearmint leaves. I even throw it in pizza sauce. I also discovered that there is an alternative to flat leaf basil. Hungarian basil has tiny leaves, oh, so much more flavor and aromatics! AND it’s easier to grow! Kate – Thanks for the spearmint and Hungarian-basil tips! I too love lemon verbena.. so much that Im wearing a lemon verbena spritz. I love lemon balm as well.. but they both lift my spirits tremendously. I love lemon grass too! I make a pesto of lemon grass and mint and a little olive oil. Really super on fish! Lemon Verbena is the best. I collect it in the fall after the leaves have dried out and put them in little sacks and throw them in my linen cupboard with sheets and towels. It’s wonderful. I teach middle school and have a bag of them in my desk, and my students ask regularly for that sack of leaves to smell. It’s sweet to see a few 12 and 13-yr-old boys passing it around telling me how great it smells…makes me smile seeing that sort of thing happen. And so many of them now have started planting it in their family gardens, too. It’s the freshest, nicest scent in my garden. KimH – Yes, lemon verbena, lemon grass and lemon balm…all are great spirit-lifters! Lynne – That pesto sounds delicious. Must try. Melissa – I think that lemon verbena sachet you made is inspiring your students to become gardeners. The fact that even boys are passing it around really says something. They will remember you fondly forever! I grew up in Bolivia, and almost everyone there has a large lemon verbena shrub in their yard. Every day you go out and pick fresh leaves to make tea. It’s heavenly! I’ve never hear of it being used in any other way down there but I could be wrong. Milissa officinalis or lemon balm is my favorite lemon scented and flavored herb. Lemon Verbena is my favourite too. I have only used it as tea but I know it is good in Lemonade as well. All the other tips are worth exploring. Love your tips & recipes. Mmmmm…lemon verbena! Just bought some plants to pot up today. My absolute favorite way to enjoy it is as lemon verbena sorbet (I use Jerry Traunfeld’s recipe from the Herbfarm Cookbook – he was the chef there at one time). 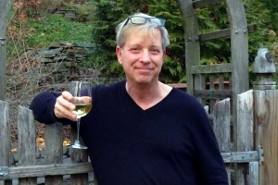 Thank you, Kevin, for your blog. I am learning something new & interesting each time I visit! Dry the leaves slowly in an oven, but be careful not to burn. Leaves will dry before stems. Fill a little sachet bag with the dried verbena and place in closets, put a few fresh sprigs in your pockets and hang a bunch in our closet and place a few sprigs in your drawers. Thanks to you Kev, I’ve learned many things from yourself and people here. I guess 72 years old I’m still learning.